Millions of Australian home owners do not consider the impact of the RBA’s cash rate on their mortgage, a new study has found. According to the newly launched Financial Consciousness Index, a joint venture by Comparethemarket.com.au and Deloitte Access Economics, 41 per cent of Australians with a mortgage do not check cash rate changes. Surveyed respondents cited a lack of understanding on what the RBA cash rate is and/or its relevance, or disinterest in rate movements as the major factors inhibiting them from monitoring the cash rate. This coincides with the study’s finding that only 40 per cent of Australians meet the basic criteria for financial literacy and capability. Alongside this, 68 per cent of Australians with mortgages indicated they have not stress tested their home loan. The index report highlights this as a particular concern, as recent estimates suggest a 0.5 per cent hike in interest rates would cause mortgage stress to increase from one in four mortgaged houses to one in three. “This starts to get to the heart of a deeper issue – especially when you consider how snags in financial capability can result in significant public policy dilemmas and ultimately lead to broader economic issues,” the report stated. It attributes the RBA’s current long-term hold on low interest rates a potential stimulus for the widespread indifference towards the cash rate. As of November, the RBA has had the cash rate on hold for 27 consecutive months. “[I]n the current low interest rate environment, people could probably be forgiven for somewhat underestimating the importance of the cash rate,” the report stated. What is the RBA cash rate? To understand how the cash rate works, it is first important to understand the basic lending practices that occur between banks. Banks lend money to one another each day to manage daily cash needs. These loans are provided on the shortest term, which has resulted in them being known as ‘overnight loans’. The cash rate is the interest rate set by the Reserve Bank of Australia, Australia’s central bank, that banks charge each other on such ‘overnight loans’. The RBA’s board meets every month, bar January, to decide on the appropriate monetary policy for Australia’s economy and set the official cash rate. Their decision, whether to cut the cash rate, issue a hike or leave it on hold, is prompted by factors such as inflation, the performance of the Aussie dollar, the state of the lending and housing markets, the nation’s GDP and consumer and business confidence. The subsequently announced cash rate is, generally, the lowest interest rate at which banks are able to borrow from other banks and, therefore, serves as Australia’s benchmark rate. Put simply, mortgage rates usually follow the cash rate as financial institutions pass on changes to the official interest rate to their customers. If you are under a variable home loan rate, this means that a hike in interest rates by the RBA could increase the interest you have to pay on the money you’ve borrowed, leaving you with less available income to spend or save. On the other hand, if interest rates drop, banks will often lower their interest rates, which leads to smaller repayments for borrowers and, hence, more disposable income. “When the RBA raises the cash rate, generally it is because they want to put the brakes on demand growth and the rate of inflation. Higher interest rates tend to act as a restraint on lending growth, which has a negative impact on demand and inflation,” summarises Gareth Aird, senior economist at Commonwealth Bank. “If the cash rate falls, the RBA is trying to boost economic activity and inflation by encouraging consumer spending and business investment – lower interest rates encourage businesses and households to borrow rather than save, which lifts economic activity,” he says. However, not all home loans are affected by rate cycles. If you’re sitting on a fixed rate mortgage, you will not be impacted by rate changes. 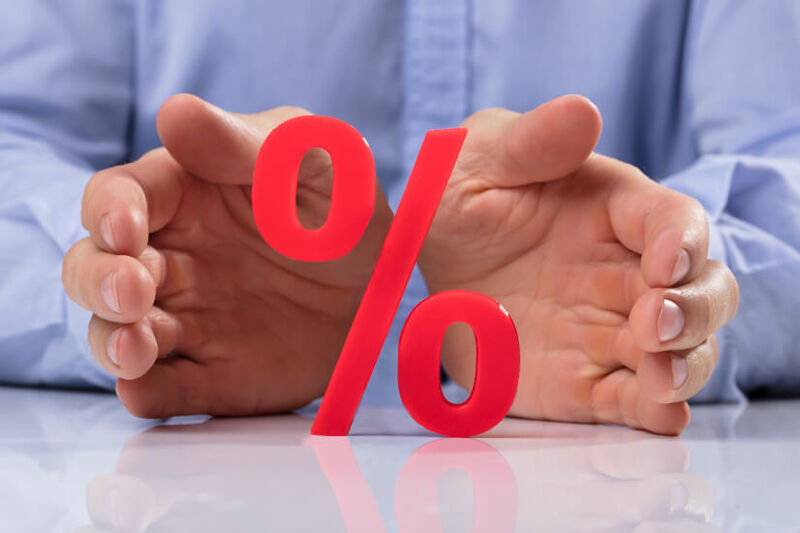 This can prove beneficial, as you’ll be protected from rate rises, but you will also not receive any rate cuts from your lender during the fixed term. The RBA’s official outlook for the economy remains positive, as they see economic growth continuing above trend, the unemployment rate decreasing by 4.75 per cent by 2020 and forecast 2.25 year on year underlying inflation by the end of 2019. If all goes to plan, the central bank is predicting its next move to be a rate hike, as such advantageous growth will need to be reined in. However, some economists remain sceptical. High levels of household debt, tightening credit conditions, a potential drop in job rates and economic activity in the construction sector and likely rise in household savings affecting 60 per cent of the GDP through household consumption are causing them to speculate whether the RBA will be forced to cut ahead of schedule. What can I do to minimise the impact of fluctuating interest rates? According to finder.com.au, there are a few ways you can minimise the impact of changing cash rates on your mortgage. An offset account is essentially a transaction account linked to your mortgage where the amount in the account lessens the amount of mortgage interest you have to pay. For example, if you have $40,000 in your offset account and your mortgage is $500,000, your interest will be based on the remaining balance of $460,000. The more money in the account, the less paid on interest. Simple as that. Quite a few lenders will allow mortgage payers to make extra payments towards their home loans at the time loan repayment is due for the payment period. Paying off your home loan faster, in this way, means you’ll pay less in interest over the course of the loan. New lenders may offer you a cheaper introductory rate, however, it is important to make sure before you go ahead with the move that their rates after this period are still reasonable. Otherwise, approach your lender for a better deal, such as a discount or waver fee, or ask them to offer you a better loan instead of refinancing. This one is pretty straightforward. If you miss a payment, the interest will build up and you’ll ending paying more than you owe. Also, try to avoid refinancing on long-term loans, despite the drawcard of it reducing the cost of your repayments, as it can increase the interest you pay over the life of the loan.